Craig Hella Johnson for years thought about how to respond to the brutal death of Matthew Shepard. The young man was beaten, tortured and left to die in a Wyoming field. He died five days later on October 12, 1998. The nature of Shepard's death shocked the country. Music helped Johnson cope emotionally with the event and that's when he realized this was a Passion story, like the ones composed by Bach, Mendelssohn and Penderecki. Eighteen years later, Johnson is music director of Conspirare, a vocal ensemble based in Austin, Texas. They bring this music and story to life. 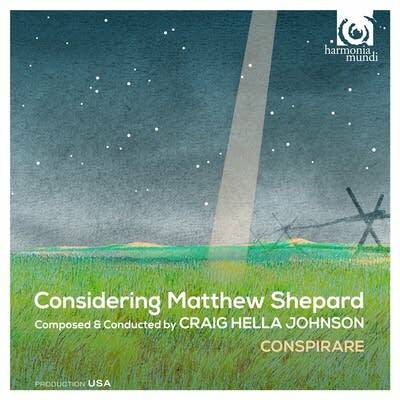 Craig Hella Johnson spoke with Performance Today about his oratorio, Considering Matthew Shepard.